Eid Festival in Trafalgar Square. 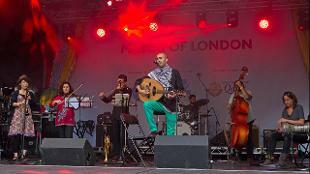 Images courtesy of the GLA. 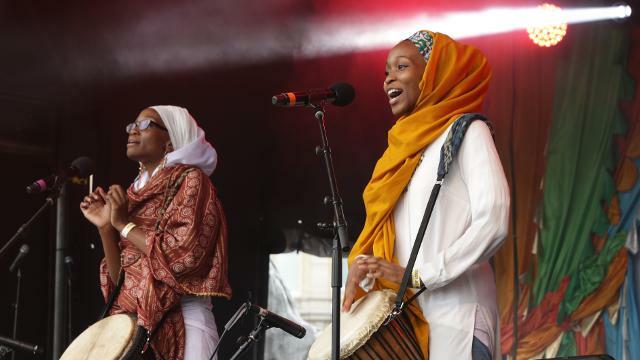 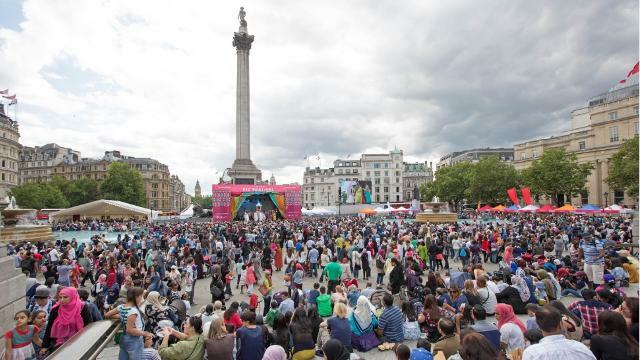 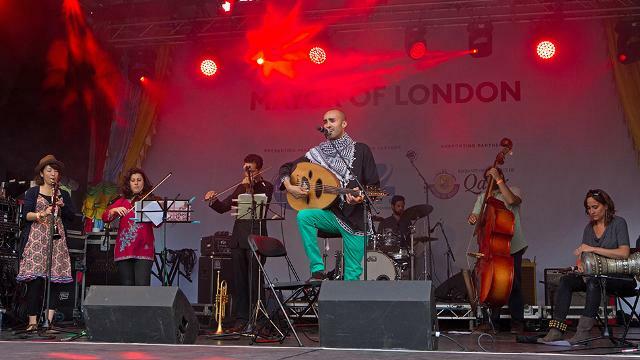 Join the Eid Festival celebrations and learn more about Muslim culture in Trafalgar Square. Everyone is invited to mark the end of Ramadan, the Islamic holy month of fasting, at this annual event in central London. 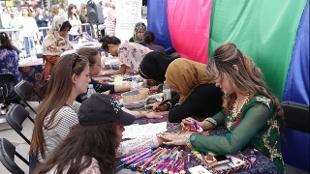 Feast on food from around the world, join in a range of family activities, and enjoy live music and entertainment on the main stage.